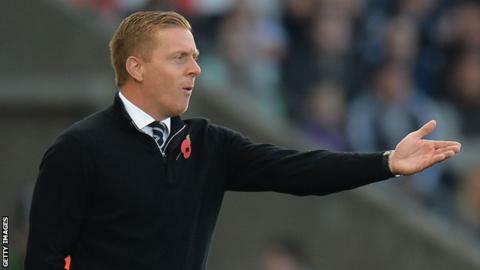 Swansea City's board is considering the position of manager Garry Monk amid the club's recent poor form. Senior board members are concerned by the Swans' run of one win in nine Premier League games, with the Welsh club lying 14th in the table after Saturday's 2-2 draw with Bournemouth. Assistant manager Pep Clotet could also leave, as he is on the shortlist to become Brentford's new boss. The draw with Bournemouth, however, has intensified the scrutiny on his future, with boos heard at the Liberty Stadium as the Swans fell 2-0 behind. Captain Ashley Williams threw his support behind Monk after the game, adding that the players should have been voicing their support more publicly. As well as being concerned by recent results, Monk is believed to have been dismayed by his assistant Clotet's reported discussions with Brentford. The Spaniard is on the Championship club's shortlist to be their next permanent manager, and he is thought to be considering taking Swansea first-team coach James Beattie with him to Griffin Park. Clotet was appointed Swansea's assistant manager in February 2014, while former Southampton and Stoke striker Beattie joined the club in June 2015.